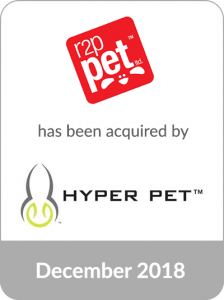 R2P Pet, Ltd. (“R2P Pet” or the “Company”), a designer and marketer of branded and private label pet supplies for dogs and cats, was acquired by Hyper Pet, LLC, a portfolio company of Guardian Capital Partners. The combination creates a meaningful competitor focused on all channels of pet products retail. Cascadia Capital, an investment bank serving middle market clients globally, acted as the exclusive financial advisor to R2P Pet in the transaction. Based in Pleasanton, California with offices in Vancouver, British Columbia and Hong Kong, R2P Pet is a leading pet products platform, providing design, innovation and value to pet owners. The Company uses a unique, design-centric, category management approach to function as a one-stop-shop for its retail partners. R2P Pet is a preeminent category manager to leading, national retailers in the mass, grocery, and ecommerce channels for non-consumable pet products, including toys, beds, and accessories for dogs and cats. The acquisition of R2P Pet represents another successful transaction in the pet industry for the Cascadia Consumer & Retail team. The deal represented the fourth pet industry transaction for Cascadia in 2018. Recent Cascadia clients in the space include Kurgo, Nulo, Fruitables, and Manna Pro Products.